PERFECT! The Poster Flag is awesome! It arrived very very fast and I'm from Australia! As soon as i saw it, i thought it was awesome!! Its the perfect size, just how i wanted! 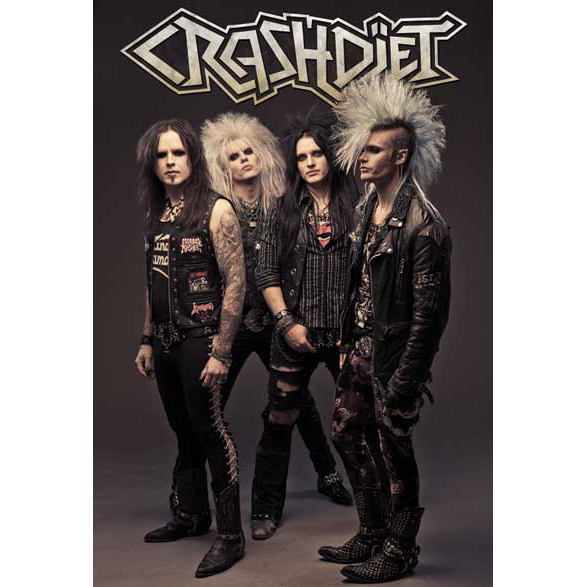 And i got two Crashdiet stickers with it, which i thought was amazing! Definitely worth getting the Poster Flag! Best store i have ever brought from! Thanks Again!... ROCK ON! Lovely poster flag, the quality is very good. I love it, it's good quality and the picture is very pretty ! Plus in the package there was a photo with their 4 autographs. This is only the second time that I order on the website and I wasn't never disappointed! Rock'n'roll ! !